Chrysler's line of minivans are often credited with helping to pull that company back from the brink in the 1980s, and even today, they remain strong sellers in that segment. 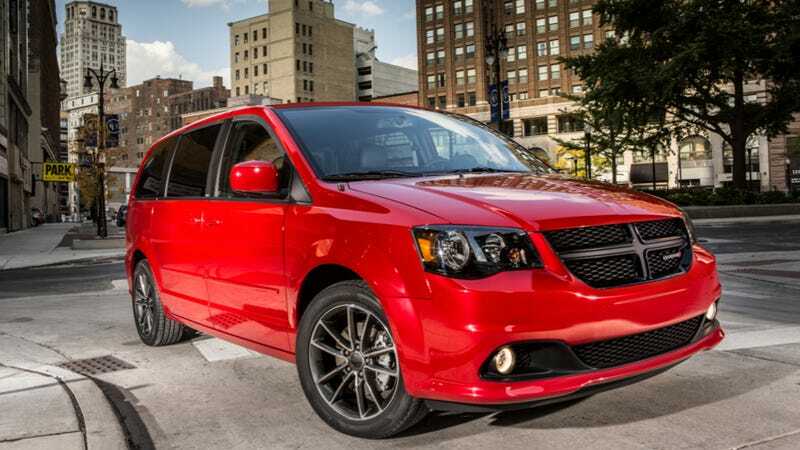 Now there's evidence to indicate the Grand Caravan is on the way out, and that's even more bad news for Dodge. The Windsor Star in Windsor, Ontario, where the Chrysler Town and Country and Dodge Grand Caravan are built, reports that a new van will be launched in 2016 wearing only the $11,000 more expensive Town and Country badge. In other words, this could be it for the Caravan name, which has been around since 1983. It's kind of hard to imagine an America where Caravans aren't used to pick kids up from school or haul families and their stuff across the country for summer road trips. But it sort of makes sense: why make two versions of the same van? That kind of blatant badge engineering has become rather passé in recent years. But here's why people are concerned: it adds more credibility to the rumor that Fiat could kill off Dodge in the next few years. As Autoguide explains, the lack of the Grand Caravan and the Avenger (which will be missed by exactly no one) leaves Dodge only with the Durango, Challenger, Charger, Dart and Journey. Remember, the Viper is an SRT now, and Ram trucks are their own thing. The brand will have no bread-and-butter midsize sedan after the Avenger ends production early next year, leaving a gaping hole in its portfolio, which already was severely trimmed by the decision to move the manufacturer’s pickups from Dodge to the recently created Ram brand. Furthermore, industry sources tell Wards/AC that there will be more thinning of the Dodge ranks with at least two products already pegged to either migrate to the Chrysler brand or be discontinued. Keep in mind this is all speculation at the moment, but it is possible that Fiat sees the future of the brand as one with Chrysler, Jeep, SRT and Ram — but not Dodge. Would anyone miss Dodge if they left us?